Even though we live in one of the beautiful places in the world, it’s completely understandable that sometimes we may not give the beauty of Cape Town the appreciation it deserves. This is not because we don’t think our city is beautiful, it’s just because we become desensitised to it. But every Capetonian recognises that moment when the beauty of our city catches up with us and we are just struck dumb by the sheer magnificence of it. 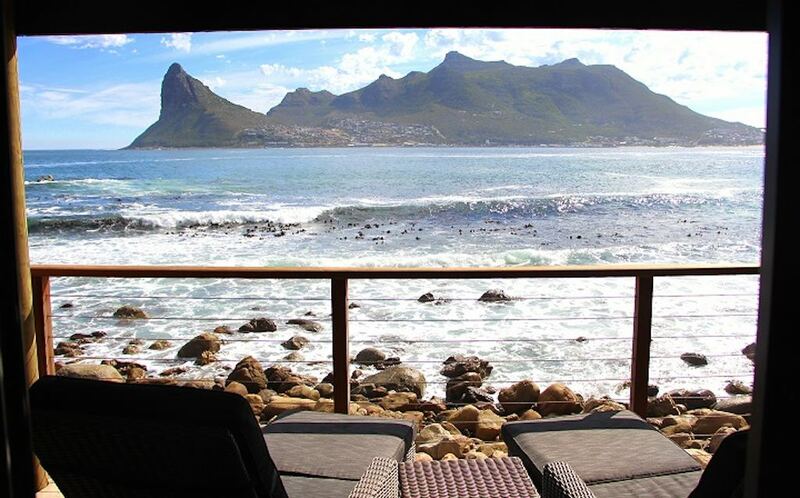 This is what Tintswalo Atlantic did for me – it made me see my city with news eyes, and a new wonder. View from my room at night. Photos by Catherine Franklin. 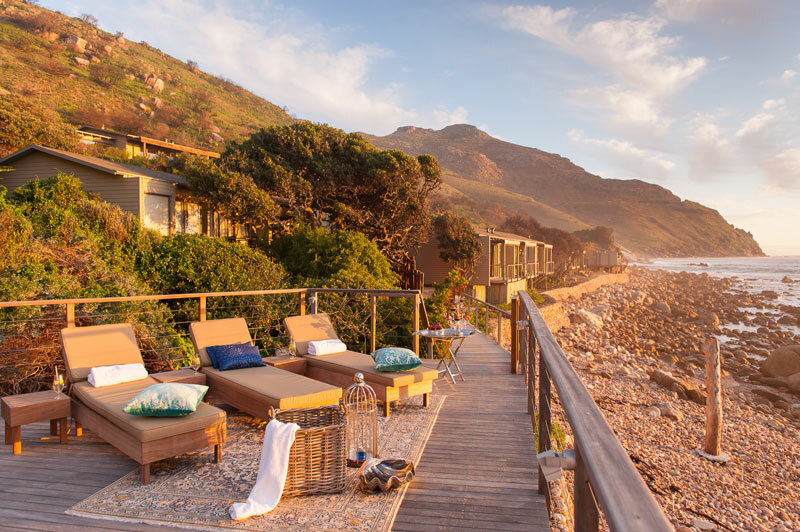 A few weekends ago I was given the opportunity to visit the luxurious Tintswalo Atlantic hotel at the foot of Chapmans Peak. Even though I was travelling 20 minutes from where I lived, I felt like I was going on a trip, and in a way I was. I drove along Chapman’s Peak, eagerly searching for the entrance to the hotel. Just past East Fort, a large, ornate gate appeared on our right. A very friendly security guard appeared to open the gate and as the heavy entrance way swung open I suddenly felt like I was seeing Hout Bay for the first time. And the view across Hout Bay by day towards the iconic Sentinel Peak. In one eye-catching moment the entirety of Cape Town’s beauty washed over me. And the good news was that I would be able to gaze at it for the whole stay. There is nowhere you could go where you would not be able to marvel at the work of art nature had created. From the steep drive down the mountain, to the entrance hall, to the dining room, to my room, to the steep drive back up the mountain – the view was on constant display. There is nowhere you could go where you would not be able to marvel at the work of art nature had created. 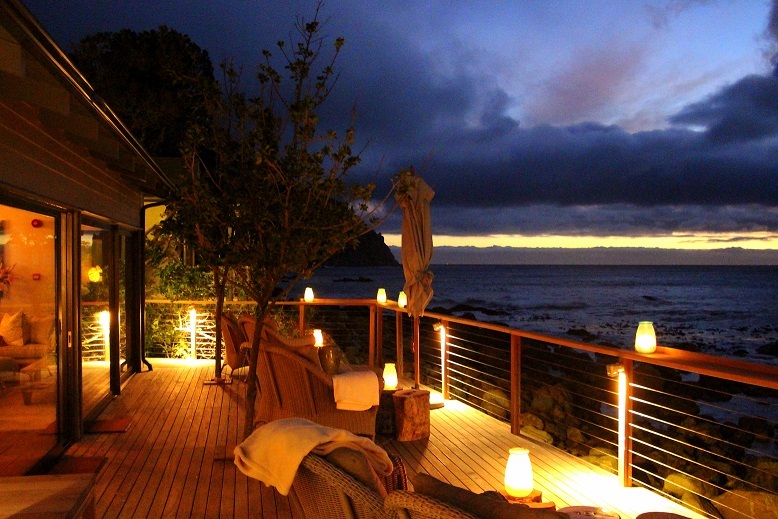 And the atmosphere of Tintswalo Atlantic perfectly complements the breathtaking view outside. In every aspect, the hotel goes above and beyond what is expected of a 5-star luxury lodge. What makes it special is its location, and unique style. 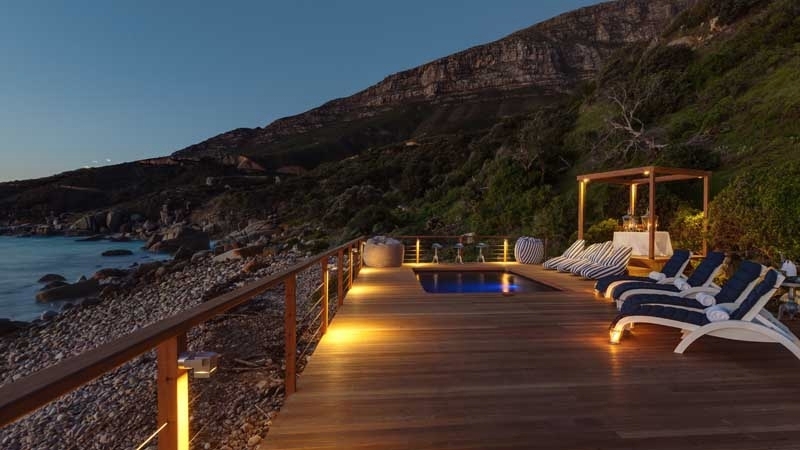 Hidden on the shore of Chapman’s Peak, designed to blend into, rather than overpower, the natural beauty surrounding it, it is the only hotel within the Table Mountain National Park. Without seeming presumptuous, the hotel’s décor embodies rustic luxury, complete with a bar counter made out of the maple tree that was burnt down in the devastating fire of 2015. Old heavy doors lead to every room, and shells, rocks and leaves used as decoration are paired with chandeliers and ornate décor. Each room’s massive bed faces sliding doors that open onto an ocean five steps away, and, as well as every bathroom accessory you can think of, the bath and shower provide an all-encompassing view of the bay. 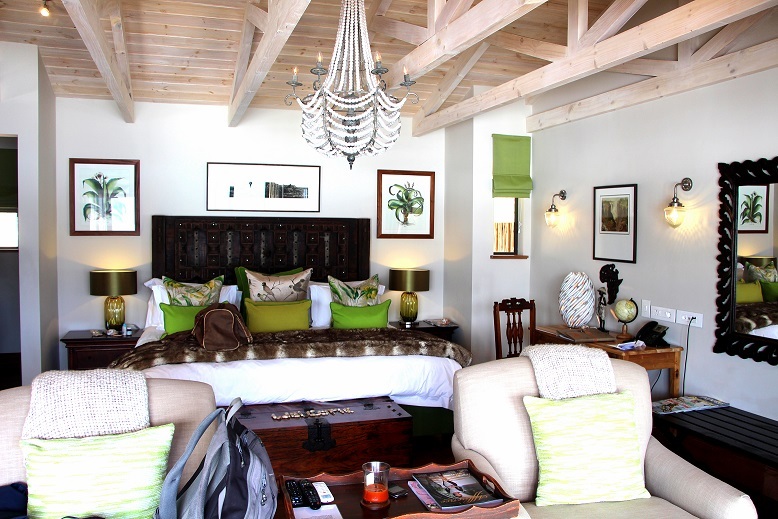 It is comfort and grandeur brought together in a way that mirrors and builds on Cape Town’s natural elegance. 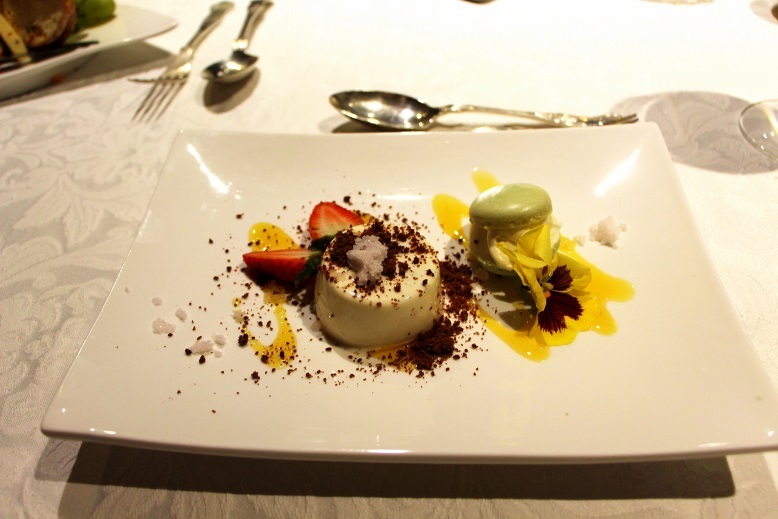 Dessert of vanilla and cinnamon panna cotta. Departing the hotel, I was returning to a Cape Town I already knew, but leaving a Cape Town I had newly discovered. 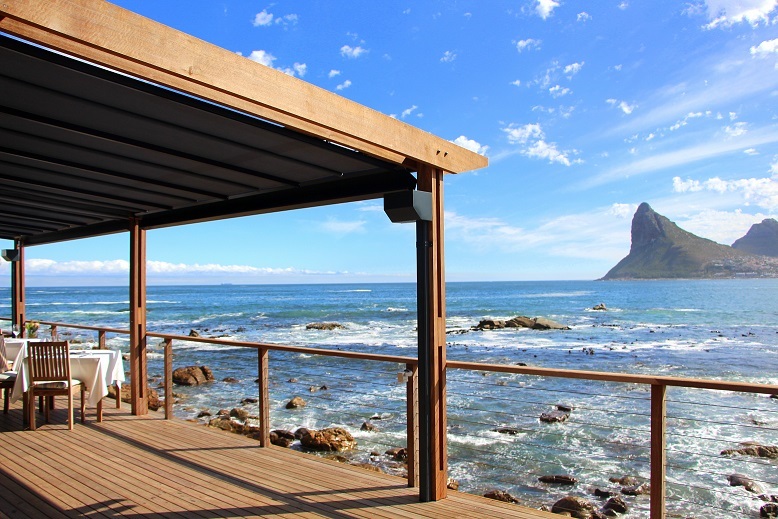 Tintswalo Atlantic takes the best of our city and puts it on display, and that is something that everyone, locals or foreigners, can enjoy. Catherine Franklin was a guest of Tintswalo Atlantic. She is an Honours graduate from UCT, and is currently working her way towards her dream job of being a journalist. Much of her writing has been published on her blog catchingcapetown.